Marketing is no longer as simple as shelling out some cash to place an advertisement. 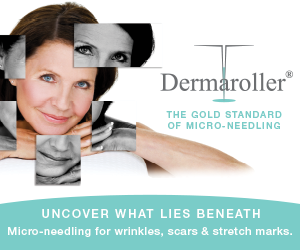 It is an involved process that is critical to the success of your spa. Starting a spa business is an exhaustive and difficult endeavour. It takes hard work and long hours to take a spa from concept to reality. Once the spa is built, staffed and equipped, a spa owner can’t just sit back and watch the customers roll in. This isn’t Field of Dreams—if you build it, they won’t necessarily come. 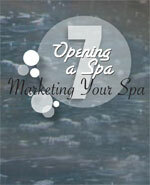 Your spa needs to get the word out by being as creative as possible with your marketing efforts. Numerous experts agree that marketing is well worth the financial investment, but not all marketing tactics requires you to cough up precious funds. There is much more to marketing than buying an ad in the local newspaper. Perhaps here, in part seven of our Starting a Spa series, you will find an approach you had never considered. Effective marketing requires you to know your audience. The spa has been built with a certain demographic in mind and your marketing efforts need to reach out to that group. Let’s say you’ve built a high-end spa with pampering treatments and packages that will cost customers more than $150 per visit. Would it be a good idea to staple flyers to lampposts outside of a few downtown bars? Spa Magnolia, for example, is focused on a primary demographic of at least 25 years of age. Many of its customers, Veenema says, are over 40. This means that marketing through social media outlets like Facebook and Twitter isn’t on the spa’s radar. Is online in-line with your target? Social media marketing is thriving. Huge numbers of potential clients are browsing Facebook and checking Tweets every minute of every day. Don’t promote the spa on your personal Facebook page. 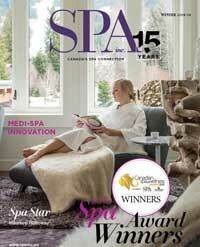 Create a page specifically for the spa. You can register the spa as a local business, upload a spa logo, fill in all the necessary information that visitors might want to know and publish the page for the world (or at least a good portion of it) to see. “Social media like Facebook or Twitter is all about selling your deals, I think,” says Lisa Gossen, Owner of Inner Balance Spa in Calgary, Alberta. Social media, she believes, is an opportunity to create a feeling of community with current customers while simultaneously generating buzz. “Customers can share information about the spa with friends who might otherwise not know about the spa,” Cortright says. Even if a customer never talks to their friends about the spa, if they join the Facebook group it shows up on their profile page. It automatically shows their friends the client likes the spa. Twitter can be used similarly. Most spas use it primarily for informing followers about current promotions while some use it more actively. A great way to drive clients to your Facebook page is to run contests in which prizes must be redeemed there. It could be as simple as asking customers to post about their experience on the spa’s Facebook page to receive 10 per cent off the next visit. It’s all about getting the name out there. An elegant, pleasing website gives visitors the impression that your spa is equally elegant and pleasing. “You have to keep your website current,” says Cortright. The design of your website has only a few seconds to catch a user’s attention. If the website looks dated and neglected, chances are you’ve lost a potential client. You also need to position the spa as high in search engine results (primarily Google) as possible. Many web design companies offer Search Engine Optimization (SEO) services. Using keywords and fancy programming, your website can be made to show up higher in Google’s search results. If you’re in Toronto, as hundreds of spas are, consider choosing keywords relating to your neighbourhood. 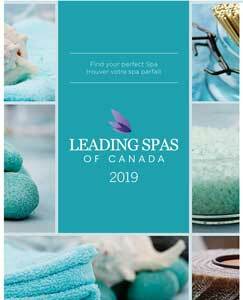 A Google search for “Toronto Spas” may not turn up your spa for 10 pages, so choosing those as keywords could be a bad choice. Somebody looking for a spa in the area of Yonge and Lawrence would be quite happy for your spa, right around the corner from their office, to show up at the top of Google’s search results. For your spa, Yonge and Lawrence Hydrotherapy and Massage might be a better choice of keywords to help potential clients find your website. Spa Magnolia is connected to the Magnolia Hotel, which pays for a sponsored ad on Google. “That helps us get our web hits up,” says Veenema. “One of the very best marketing practices that we use is something I like to call leverage marketing,” says Cortright. “An example would be to partner with a local yoga studio. They’re doing a promotion, you’re doing one, and you can make your dollars go twice as far by working together. Recently, Spa Gregorie’s ran a promotion called Eat, Pray, Spa. It partnered with a local health-food restaurant and a yoga studio, and capitalized on the buzz from the movie of the same name. “You can plan promotions around what’s going on around the world, not just the spa world,” says Cortright. The promotion included a yoga class, coupon at the restaurant and massage for just over $100. “With all three of us promoting it, it really worked,” Cortright says. There are all sorts of partnerships that can be developed for something like this. Photographers, wedding planners, gyms and salons are just a few examples. “You have to be strategic. You can partner with charitable organizations too, but you need to know that the charity will give the right kind of exposure to your business,” says Veenema. There are also the tried and true methods like radio, print and television ads. “We do it all, the traditional methods of advertising like in newspapers and on the radio,” says Cortright. This approach is financially draining and while it does pay off, according to most, many spas don’t have the finances to spend so much on this kind of marketing. A solution is to market your expertise. “I try to do a lot of radio interviews, talk with magazines for any articles that I can offer expertise in,” says Gossen. Word of mouth is a huge marketing tool. You can get your spa out there by getting yourself out there. Your spa can also generate word of mouth by offering excellent service. So in a way, what you do in the spa can be a good marketing tool outside of the spa. Spa Magnolia presents each client with a small gift bag as they get ready for a service. “The bag has a little shampoo, a bar of soap and a card thanking the customer for choosing us,” Veenema says. Spa Inc. decided to consult the experts for savvy tips on how to keep clients flowing through your spa during the harsh winter months. We spoke with two leading consultants: Dori Soukup, principal consultant at Insparation Management, and Woody Yowler, president, Spa Visions. 5. Offer second-person discounts: mother-daughter packages, romantic Valentines packages, or Winter Girlfriends Getaway packages. 8. Use your guest book: Have a guest book onsite to collect testimonials and request permission to post their words on your website. 9. Communicate through your newsletter: Offer valuable content. Include stories and tips. Do promote packages and seasonal offerings, such as a series for the face to combat the damage of winter. And announce the bundles you offer accessories such as neck wraps, booties, or gloves that clients receive with various packages. Announcements in the newsletter can generate excitement for new promotions, or renew interest in popular packages. 10. 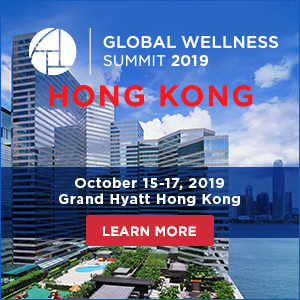 Cross-promote: Offer beverages to go with certain treatments, and form relationships with stores and other dealers to cross-promote spa services and related products. Package treatments with a compatible gift, be it a product, a drink or food, or a small gift card at the end of the day. “Don’t forget, a client’s not a client until the second visit,” Yowler adds. Valentine’s Day is, of course, the holiday for lovers, and spas appeal to the passion and sensuality the occasion promotes. Don’t be left behind: make sure your Valentine’s Day promotions are out of this world, and get the word out about the romantic experiences that await. What are some of this year’s Valentine’s plans? At Quebec’s BALNEA, three promotions add special value to the existing packages. First, soirée gourmande combines the table d’hôte and thermal experience: Every couple also receives an oh-so-decadent chocolate and raspberry cake and scrumptious dessert wine. Second, an exclusive offer for lovers including the choice of eight packages designed especially for lovers combine luxury, sublime treatments, and intoxicating massages. For Valentine’s, these packages also feature a minitreatment (face, eyes or hair), fruit, chocolate and a glass of wine. Finally, BALNEA promoted its trinity massage, a sensual three-inone massage, inspired by Hindu myths. Applied by three therapists, this signature treatment allows lovers to sample the absolute bliss of a four-hand massage. Following the treatment, couples can prolong the pleasure with the thermal baths and a delicious chocolate fondue and glass of wine. At Holtz Spa in Ottawa, Valentine’s Day is approached as an opportunity to market their couples’ services and attract new clients. Champagne and chocolate treats are served to all couples in the lounge throughout the day, while treatment rooms are decorated with roses, and rose-scented oil is used in the services.